The second episode of Life is Strange was eagerly awaited by all the Gamersyde team and from what we've seen so far, there is no room for disappointment. The beginning takes on the same mesmerizing slow pace than in the first part of the adventure and it allows to set a great atmosphere. The writing is good, characters are endearing and it's hard to stop playing because of the need to know how events are going to unfold. Puzzles are also getting a bit more interesting, with things to observe and memorize and the use of the time control powers Max possesses. Check out our videos of the PC version, but it goes without saying that you should only do it if you have already played the first episode. Despite that Alan-Wake-y dream sequence I enjoyed the 1st ep. Hopefully it only gets better. I liked episode one and I loved episode two. Can't wait for 3-5. This has me more hooked/interested in it than the TWD did. just did my second playthrough of both episodes and there really are quite some differences depending on choices made. never thought I could identify myself with a young female arts student but somehow it works. 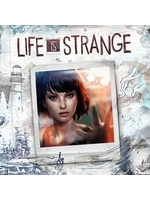 I just finished playing both the first and second episodes of Life is Strange. It is a great game and I hope everyone gets to play it, one of the best games of 2015! I really identified myself with Max and it feels like she's a great old friend I've known for years, the writing and voice acting, and the way they convey her feelings is truly wonderful. While the penultimate scene in episode 2 was something I saw from a mile away even in Episode 1, it still didn't diminish it's impact. It still gave me goosebumps and horrified me. At that moment, I felt just like Max, I really wanted to do something. And the fact that I was able to do what I intended because of how well I knew that person - it actually feels like a person and not a character - and how that enabled me to do what I did, it made me really, really happy! And the reason for that is because the characters are very well written, they actually feel like real people. 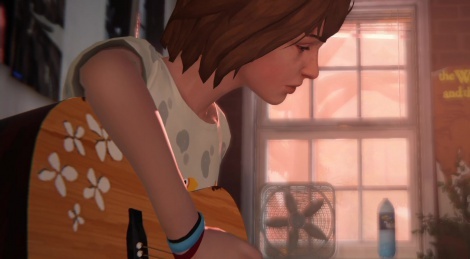 The art style, the visuals, the soundtrack, the characters, the story, the places and etc, everything in Life is Strange is so beautiful and I just can't wait to play Episodes 3-5. That finale was so intense. Love that the game forces a choice on you without being able to rewind time.